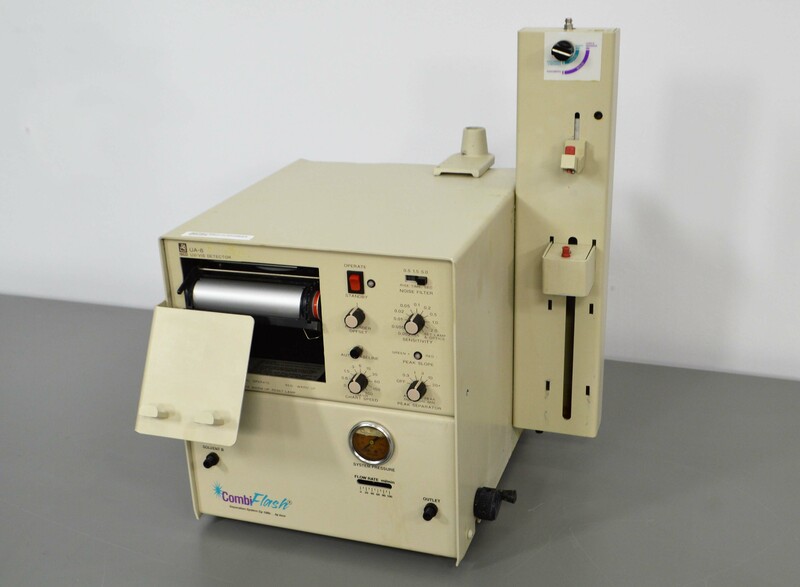 Isco CombiFlash SG100C HPLC UA-6 UV/Vis detector w/ Fraction Collector & Pump . New Life Scientific, Inc. This Combiflash UV/Vis Detector is not functional. It is in good cosmetic condition, with wear and age. Includes a gradient pump. Our in-house technician power-tested this Combiflash UV/Vis Detector and was unable to power the instrument on. Technician visually inspected the fuses and found nothing of note.